Industrial Design Outreach (iDo) in association with Professor Martin Linder and San Francisco State University students was launched as a response to the lack of design course offerings in the curriculum of public high schools. Through hands-on interdisciplinary projects iDo provides high-school students with experiences that foster curiosity, promote creativity, and build self-confidence. Through these learning outcomes, students gain a framework that can be applied to almost any creative discipline. 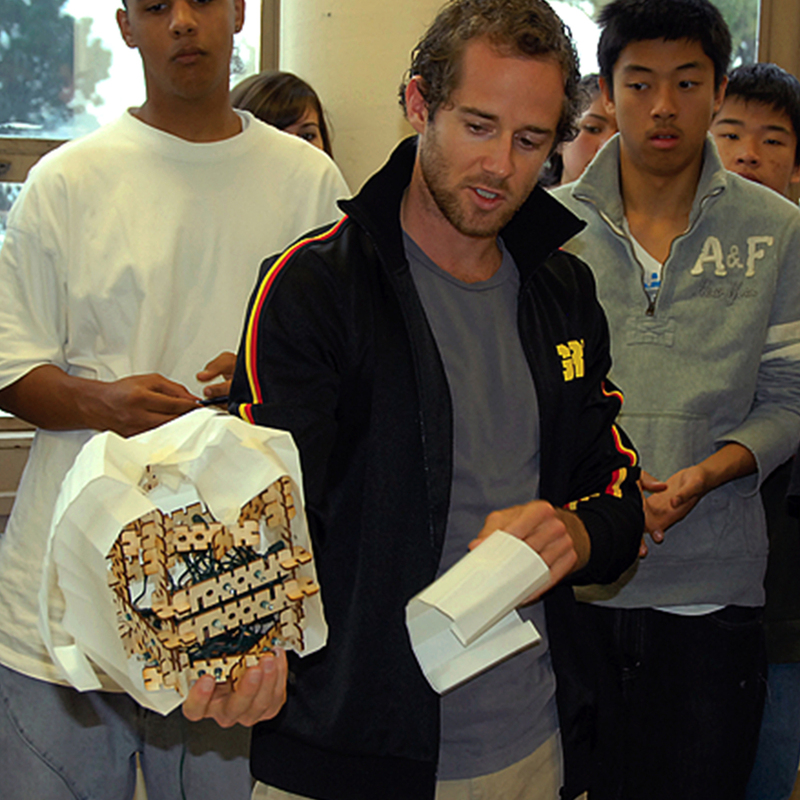 In 2003 the program was successfully launched and piloted at selected public high schools: The current work of iDo at Mission High School San Francisco is in conjunction with efforts to reinvigorate the school and expand iDo’s reach to a greater number of low-income students. iDo provides over 9000 hours of community service to public school students per year. Since iDo’s inception, the program has reached over 1600 secondary school participants and over 350 university students have participated as mentors. iDo has received recognition for their work including, the International Social Innovation Conference at Yonsei University in Seoul Korea, recipient the Jefferson Community Achievement Award, exhibits at De Young Museum, Certificate of Honor award from Mayor the City of San Francisco, and Core 77 Design Education Innovation award.